If you've ever been to a packed restaurant on a Saturday evening and had your meal delivered at an impressive speed, you've encountered what chefs call mise en place. 01. WHAT is Mise en Place? Mise en place is a French term that means "to put in place", and is an act of forward thinking and preparation. It's a popular concept used in professional kitchens, not only in France, but worldwide. Many chefs begin their day with mise en place: gathering their tools of the trade, preparing their ingredients and focusing solely on tasks at hand. For many, it becomes more than a mindset--it's a way of life, leaking into daily routines outside the kitchen. 02. WHO Can Benefit from Mise en Place? In the past, mise en place has been mostly used in the food industry. But with the rise of successful entrepreneurs, any business owner can implement mise en place into their daily routine. Bruce Schoenfeld, successful writer for Travel + Leisure, uses mise en place even when working from the road. "Sitting beside an open window in the bar of Phoenix's Royal Palms hotel one afternoon I realized that my own mise en place was right in front of me: the tools of my trade. I had a black Piccadilly notebook and a good pen. My new laptop was positioned beside my iPhone, giving me as much communication with the outside world as I get in my home office." Did you catch that? Schoenfeld applied mise en place to the tools of his trade. Any business owner can do this; it's no longer just for the chef or the kitchen staff. It's for the savvy entrepreneur who's ready to take their success and productivity to the next level. For more entrepreneurial tips, visit our Entrepreneur Resource Center here. 03. 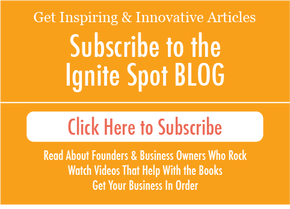 WHERE Can Successful Entrepreneurs Practice Mise en Place? Chefs apply mise en place not only professionally, but in their home organization and overall lives as well. For the busy CEO and entrepreneur, mise en place is recommended in both work and home offices. One study found that the average person wastes 4 hours a week sifting through paperwork. The importance of a tidy workspace cannot be stressed enough. Use Cloud-based tools, such as Google Drive or Dropbox, for storage. Be the master of your inbox. This article on Forbes suggests making your inbox do the work for you. Ditch as many paper receipts as possible. Try some of these receipt tracking apps. Tame the paper files you aboslutely need with a minimal filing system. Everything has a place (down to the last pen), and must be returned at the end of each day. "Once students set up their station I should be able to blindfold them and they should know that their tongs are always here, their oil is always right here, their salt and pepper is always right here." So here's the challenge. Each day when you're done working, return everything to its designated spot. This should become so engrained that you could reach for any given item without having to even look for it. 04. WHEN Do Entrepreneurs Perform Mise en Place? A top chef wouldn't even consider conducting their first step of food prep without their pans already heated and oven on. Starting your day with mise en place, or a small planning session, will maximize your organization and productivity. We love how John Meyer, CEO of Lemonly, begins his mornings. In his "20 most important minutes of the day", he conducts a brief planning session daily before doing anything else. "The 20 most important moments of your day are committed to actually planning that day. The 20 minutes you spend planning can save hours later on." Meyer begins his planning session by writing down 8 goals he has for the day: 6 professional and 2 personal. If he can't achieve all 8 in one day, he says he's doing something wrong. Goal planning is another important part of an entrepreneur's prioritization and organization. 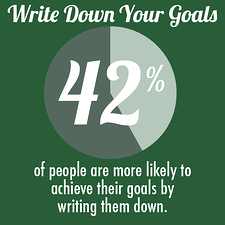 In fact, one study found that 42% of people are more likely to acheive their goals just by writing them down. So start your day with a brief planning session, write down your goals, and go after them! 05. Is Mise en Place Right for You? Mise en place has proven extremely successful in kitchens around the world. It isn't, however, a fix-all solution. It does require dedication. Even when lists are made and offices are organized, if the mind isn't set on completing the tasks, your efforts have been useless. Also, even with extreme amounts of planning, not every list-making and goal-setting session can prevent the unexpected from popping up. And let's face it: an entrepreneur's life is full of surprises. 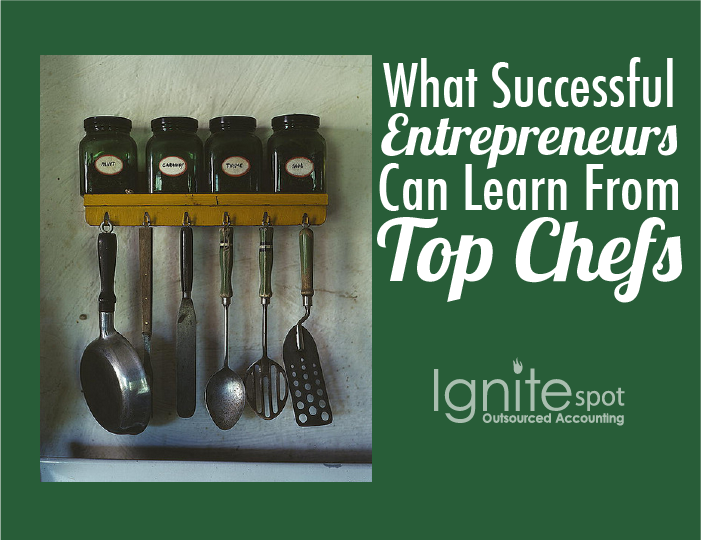 But with the right mindset and a little effort, entrepreneurs and business owners can find great success with tips from the top chefs.